On the South side of Lansing, along Washington Avenue, R.E. Olds would give Lansing its second automobile manufacturing company in 1905 and for the first two years it would flourish. REO was third behind Ford and Buick, but lack of progression in model design and mechanics would drop REO to tenth, REO was struggling by 1908 (Thomas, 1986). 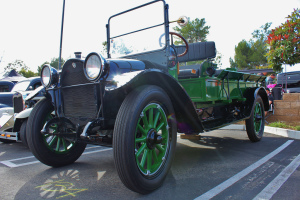 In 1910 REO would begin moving forward with a truck model, and in 1915 introduced the legendary REO Speed wagon. It would quickly become know as one of the best made vehicles that one could buy. The Speed wagon was the father of what we now know today as a pickup. Its success was duplicated by other manufacturers, with sixty individual variations soon appearing. REO’s management team would take on an ambitious project to try and expand their market to a more broad array of vehicles and price ranges. Company profits were utilized for model expansion, and when the market crashed in 1929, the company suffered. 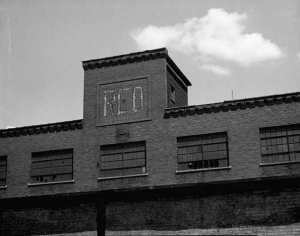 In 1933, R. E. Olds (who had retired almost completely from the company holding only an honorary seat) returned to the company to retain leadership, but resigned in 1934 and never returned to the company. R. E. Olds the father of auto industry in Lansing, MI, would die in 1950 at age 86 unattached, save his name, to any automobile production. During 1936, REO abandoned the manufacture of automobiles to concentrate on trucks. After Olds left Reo, the firm continued to experience serious financial problems. Building trucks for World War II allowed REO to make a little bit of a comeback, but for one reason or another the company could not reach solidity in the postwar era. In 1954 REO was sold to the Bohn Aluminum & Brass Corporation of Detroit, and 3 years later became a subsidiary of the White Motor Company. White merged REO with Diamond T trucks in 1967 to form Diamond Reo Trucks, Inc. On May 30, 1975, this firm filed for bankruptcy (Diesel Power, 2009).